#1 Franklin, 6 vs. #17 Marshfield, 1 – Final – Click here for a recap of this game. 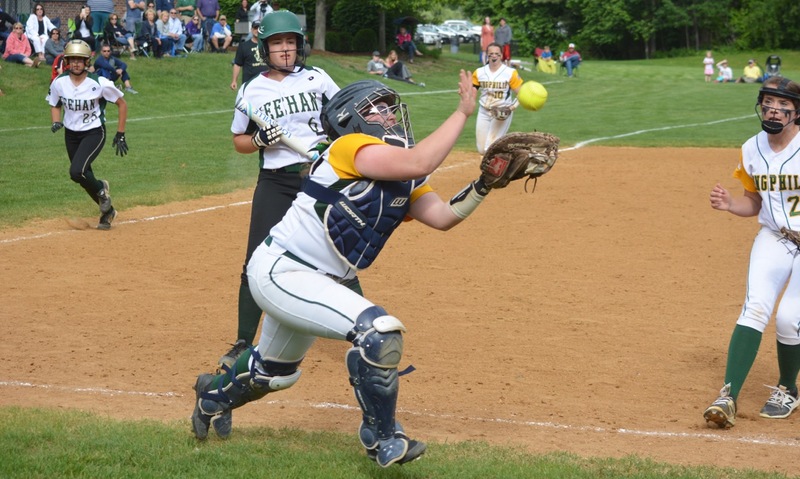 #9 King Philip, 1 @ #1 Silver Lake, 7 – Final – King Philip sophomore Meg Gorman connected for three hits but the Warriors couldn’t overcome the unbeaten top-seeded Lakers. Elise Pereira had a double and Sydney Phillips scored on a sacrifice fly from Jenn Hutnyan to put KP up 1-0. #5 Franklin, 7 vs. #12 Xaverian, 8 – Final – Click here for a recap of this game. PLAINVILLE, Mass. 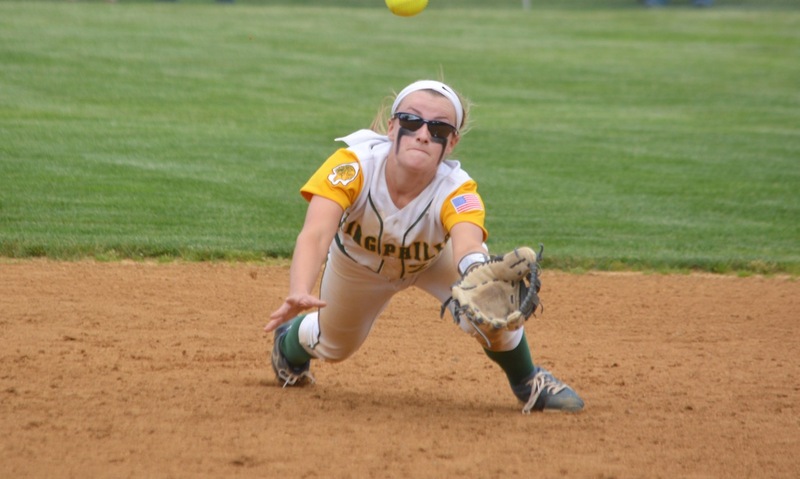 – King Philip used a great defensive effort on Tuesday afternoon at the Plainville Athletic League Complex to get by Taunton 4-1, sweeping the regular season series. Taunton jumped on the board early as Liana Duarte doubled and was later brought home on a single by MacKenzie Handrahan in the bottom of the first. Taunton threatened again in the top of the third, as Duarte hit her second double of the game to lead off, but a phenomenal defensive play by Meghan Gorman at shortstop got Duarte out at third. Gorman again made an outstanding defensive play on the next batter as she dove to stop a Kya Enos grounder and from her knees tagged second to get the force out. After a fielder’s choice and a single from Hannah Aldrich gave Taunton runners on first and second and two outs. Katie Van Zandt then singled up the middle, but a great throw from KP center fielder Sydney Phillips gunned down a pinch runner at home and got the Warriors out of the inning unscathed. In the bottom of the third, KP got some runs of their own. Gorman singled to lead off the inning, and then Hailey McCasland knocked a double into the gap in left center to bring Gorman home. KP pitcher Jenn Hutnyan helped her own cause with a single, then advanced to second on the throw to third. A Taunton error on a hard hit ball by Elise Pereira brought home McCasland and pinch runner Margerie Guerrera to put KP up 3-1. Taunton got out of the inning when Courtney Fisher induced a grounder back to the circle for the 1-3 putout. In the top of the fifth, with a runner on first with only one down, KP added to their defense highlights by turning an impressive 1-6-3 double play. In the bottom half of the inning, KP threatened again when Phillips singled and Gorman (3-for-4 on the day) came inches from a home run as her shot to straightaway center bounced off the top of the fence and then back into play for a double. With runners on second and third, Taunton went home on a grounder to second, and got the runner in a rundown for a tag out. Pereira delivered a two-out single into left to score Gorman and put the Warriors up 4-1. KP flashed the leather again in the top of the sixth. With a runner on first, Hutnyan induced a pop up and McCasland made a diving catch and then threw to first to turn the double play and end the half inning. In the bottom of the sixth, KP put runners on first and second, but Fisher pitched out of the jam to keep the score at 4-1. In the top of the seventh, Hutnyan finished the complete game with a one-two-three inning. KP (12-4) will take on Mansfield (8-7) at Mansfield High on Wednesday afternoon. 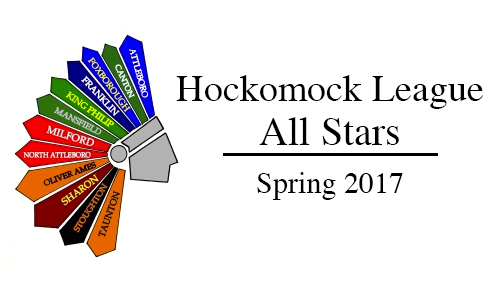 Taunton (13-3) will face Oliver Ames (4-12) on the road at Parkview Elementary on Wednesday afternoon.